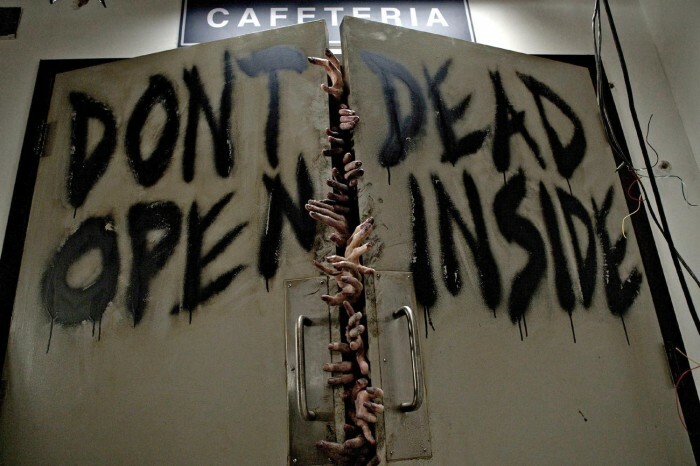 Don’t dead, open inside ??? Reading is left to right, THEN down, dumbass. Yeah, I got that. That’s the joke, moron. In the show the door is actually locked up, but oh well.